The Munich Strong Beer Festival offers some of the best tasting beer on the planet, and it's a roaring great party! Next on: The 2019 Munich Strong Beer Festival (Starkbierfest) will run from March 15 to April 6. To appreciate the Munich love of beer you just have to consider what locals call the "fifth season". It’s the Starkbierzeit (Strong Beer Time), a three-week frenzy of early-spring stout swigging. But these ain’t no ordinary suds. Prepare your taste buds for a fortune of flavour, an abundance of aroma, a trove of textures: Munich Starkbier. Festive: The Festsaal (festival hall) at Nockherberg. 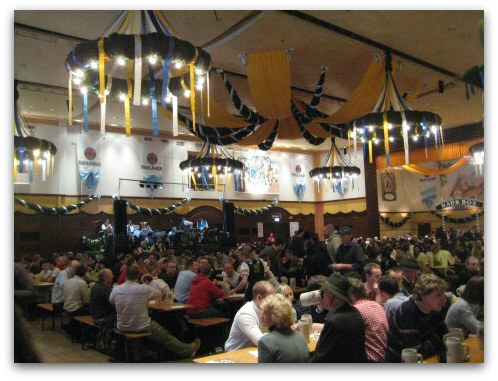 It's the main venue for the Starkbierfest (Munich Strong Beer Festival). The original and biggest party is at Paulaner "Nockherberg" brewery a couple of clicks south of central Munich. It’s an Oktoberfest-style atmosphere where thousands of visitors - many in traditional Bavarian outfits - pack into a huge hall and dance on the benches along to modern and old-time German hits. The beer is served by the one-litre ceramic steins called Keferloher. Just like the city itself, Munich’s Starkbier tradition started with a bunch of monks. The pious Paulaner brothers-of-the-cloth started brewing their Starkbier called Salvator in 1651. They dubbed the stuff 'Flüssiges Brot' (liquid bread) as it helped them survive their 40 days of Lent fasting with full bellies and good spirits. Bavarian rulers began joining in the tapping of the first Starkbier kegs in the early 1700s and the first public beer festival was in 1751. 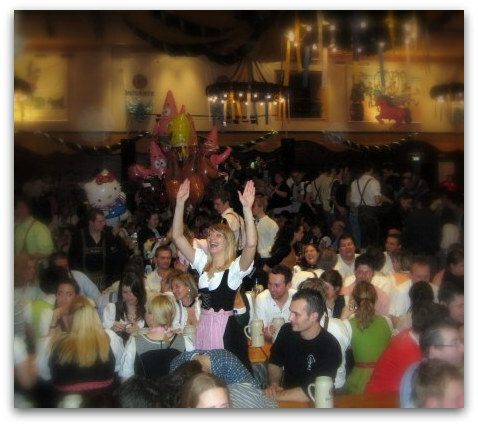 An integral part of the Starkbierfest is the comedic Derblecken which takes place at Nockherberg a day before the main party starts. It’s a chance for the city’s wits to poke fun at local politicians, and mildly insult others by not mentioning them at all. You'll notice that Paulaner's Festsaal (festival hall) at Nockherberg is quite new despite all that history. That's because the old Paulaner Keller burned down in 1999 in Munich's most ruinous fire in decades. A total of 89 fire engines took two days to quench the blaze and the damage amounted to €15 million (over $US 20 million). Rock on: The Paulaner Festsaal pumps up as the evening starts during the Munich Strong Beer Festival. You might be surprised to learn that although Stark means 'strong' in German, the name of Starkbier doesn’t actually refer to the alcoholic punch it packs, rather the beer’s Stammwürze or 'original wort'. This indicates the amount of solids in the beverage. For example, Paulaner’s Salvator has an original wort of 18.3 percent, so a one-litre Maß contains 183g of solids, about the same as a third of a loaf of bread. Put another way, the same beer contains 706 calories, equivalent to 14.5 McDonald's chicken nuggets. So it’s no wonder they call the stuff liquid bread. That said, Starkbier is also heavy-weight in terms of alcohol percentage, with Salvator coming in at 7.5 percent. As you can see, when you’re at the Starkbierfest, it doesn’t take long before both your belly and your liver are fully stuffed! Starkbiers brewed for this time of year tend to bear an "–ator" suffix. There are at least 40 different varieties brewed in Bavaria alone. The starkest "–ator" of them all is Hacker-Pschorr’s Animator with a mighty Stammwürze of 19 per cent and alcohol content of 7.8 per cent. Drink up: That's me getting a little too excitied and a Bavarian guest at the Starkbierfest (Munich Strong Beer Festival). 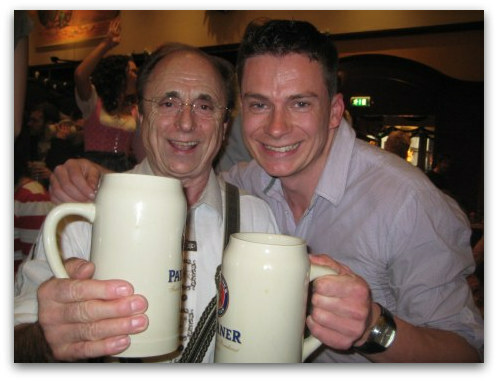 Like to see more photos of the Starkbierfest? Click forward! The oldest, loudest and proudest Munich Strong Beer Festival, Paulaner’s Nockherberg fesitval hall has room for up to 2,500 partygoers. Next on: The 2019 Munich Strong Beer Festival will run from March 15 to April 6. Open: Weekdays from 2pm to 10.30pm, weekends from 11am to 10.30pm. Take U-Bahn No. U1 or U2 to Kolumbusplatz, from where it’s a 15min walk up the hill to the brewery. Reservations: You can reserve a table by phone or fax, or through the website above at certain times of year. Cost: Entry costs €2. If you arrive after 5pm (or 3pm on weekends) entry will cost about €9, but you’ll also get a voucher for one beer. A one-litre Keferloher will cost about €8. Next on: Dates for the next Starkbierfest at the Löwenbräukeller are March 15 to April 7, 2019o. Open: From 6pm to 11pm. Location and directions: Nymphenburger Strasse 2, Am Stiglmaier Platz, 80335 Munich It's about a 15min walk north of the Hauptbahnhof along Dachauer Strasse. Or you can take U Bahn No. 1 to Stieglmaier Platz. Phone: You can also order tickets over the phone 089 5 47 26 69 16. The only Starkbier maker which doesn’t stick an "–ator" on its potent brew, here it’s called St James. 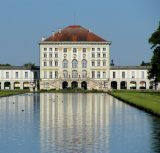 • Find out more about the city's beer history at this page on Munich Beer. 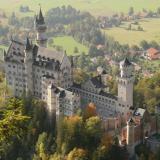 • The Munich Spring Festival is the counterpart to the Munich Strong Beer Festival.